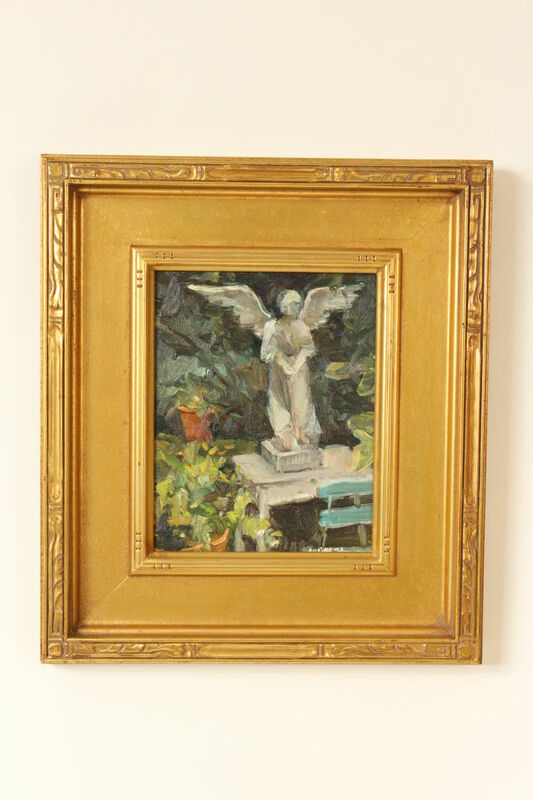 Painting of a garden scene with a statue of an angel, by Laguna Beach artist Allayn Stevens. Oil on board. Frame dimensions, height 17″ width 15″. Dimensions of painting, height 10″ width 8″.